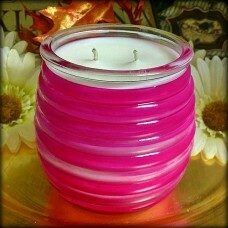 Introducing our new festive summertime candles!! Three two toned colors to choose from in this adorable barrel design container, huge at 20 oz. and double wicked for a perfect burn, a super fun candle for spring and summer!! !